Jo Malone has launched Violet & Amber Absolu, a new fragrance. Violet & Amber Absolu follows 2018's Rose & White Musk Absolu. The notes include violet, patchouli, oud, white musk and amber. 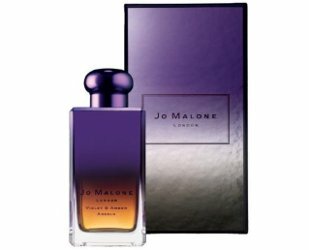 Jo Malone Violet & Amber Absolu is €237 for 100 ml at Douglas in Austria. This will either be amazing or absolutely foul. No in between. Interesting because my first guess would be meh. A demuskulated Violet & Amber may be tight up my alley! The bottle is gorgeous! There is no way I woke up this morning to find myself in a universe in which that is worth €237.